Shark fins drying in the sun cover the roof of a factory building in Hong Kong on Jan. 2, 2013. 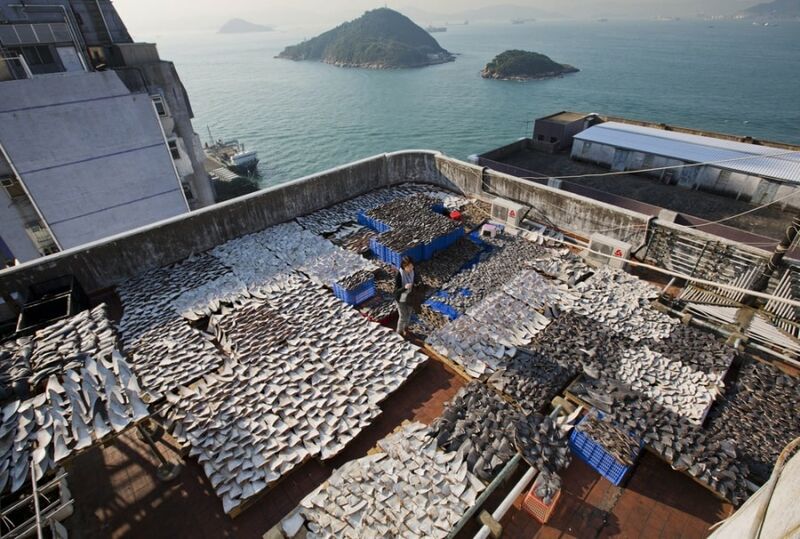 Approximately 18 thousand shark fins are left out to dry on top of an industrial building in Hong Kong's Kennedy Town district on Jan. 2, 2013. Shark fins, which cost between HK$2,880 ($369) and HK$3,580 ($459) per Chinese catty (1 pound), are seen on display inside a dried seafood store in Hong Kong on Jan. 2, 2013. Shark fin traders in Hong Kong have taken to drying freshly sliced fins on rooftops since a public outcry over them drying the fins on public sidewalks forced them to move the trade out of sight. 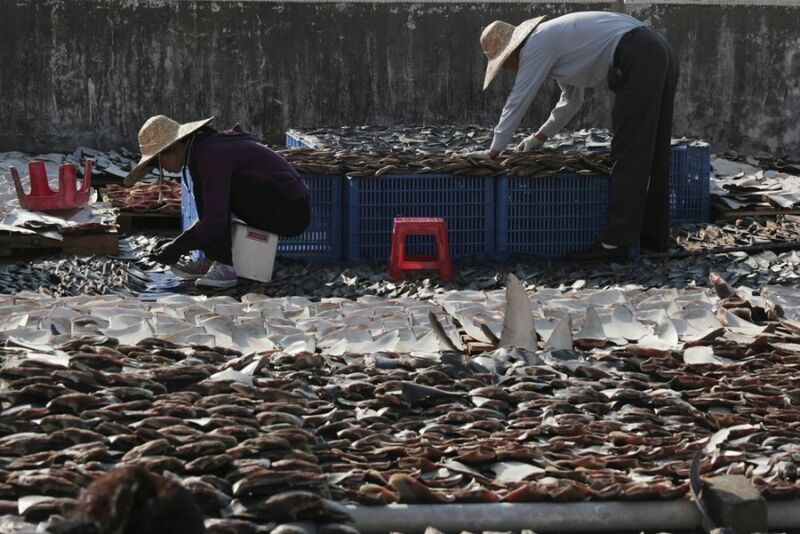 Activists have raised concerns that the over-harvesting of fins is causing an environmental calamity. Although sales have fallen in recent years Hong Kong remains one of the world's biggest markets for shark fins, which are used to make soup that is an expensive staple at Chinese banquets. 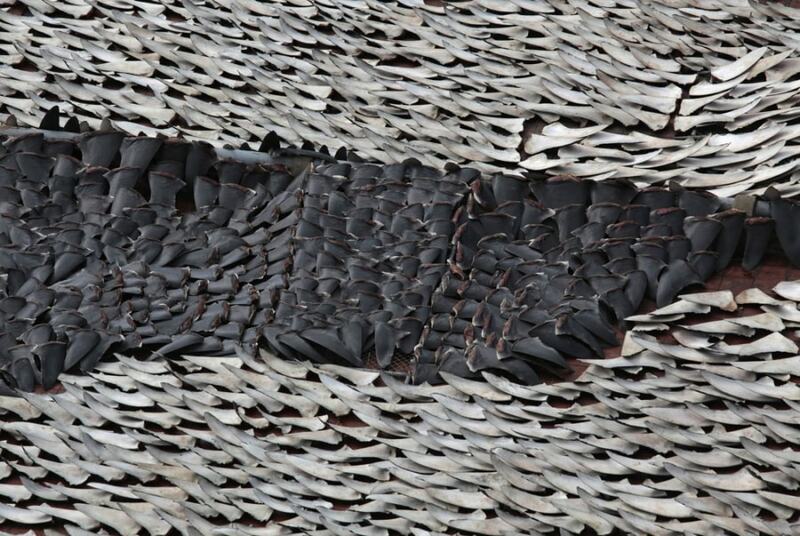 Thousands of pieces of shark fin are dried on the rooftop of a factory building in Hong Kong on Jan. 2, 2013. The fins were shipped from an unknown location and unloaded at a nearby pier to be dried on the rooftop. 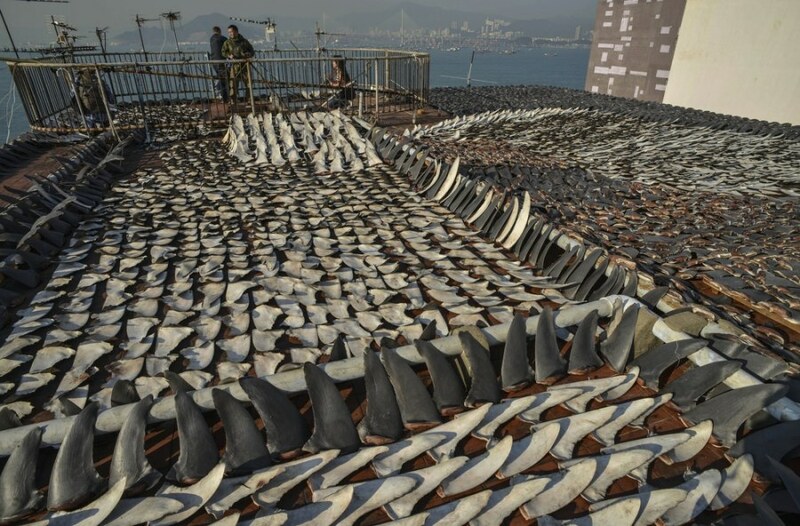 Workers lay out pieces of shark fin to dry on a rooftop of a factory building in Hong Kong on Jan. 2, 2013. 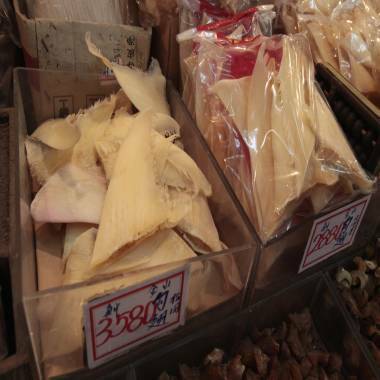 Local sales of the luxurious gourmet food have fallen in recent years due to its controversial nature, but activists demand a total shark fin ban in the city, labelled by some as the shark fin capital of the world.